What Is HEVC/H.265 Codec? How to Free Download HEVC/H.265 Codec on Windows (10) PC/Mac? HEVC (aka H.265) earned its reputation from September, 2014 when Blu-ray Disc Association and Apple announced HEVC support for their products. Then, this video codec is widely applied to a wide range of fields, operation system (Windows 10, macOS High Sierra or later, Android 6.0 or later, iOS 11 or later), online video (YouTube 4K/8K), graphics card (NVIDIA, AMD) and media software (VLC, HandBrake) and so on. In this article, we will focus on HEVC/H.265 codec, explaining what is HEVC codec and how to free download HEVC/H.265 codec for 4K/8K video playback. VideoProc - transcode HEVC to fix incompatible problem. Convert 4K/8K videos encoded with HEVC/H.265 to 1080P HD in formats MP4, H.264, AVI, MOV etc, for smooth playback on incompatible PCs/Macs, TVs and portable devices. Before making clear about HEVC codec, we should have a brief knowledge about HEVC. HEVC (High Efficiency Video Coding), a video compression standard, is developed to have a higher coding efficiency and improved video quality. With double data compression ratio, HEVC only requires half bitrate to keep the same video quality compared to H.264/MPEG-4 AVC. In other words, HEVC brings better video quality at the same bitrate. Target at next-generation HDTV display and content capture systems, it can support 4K and 8K UHD resolution. 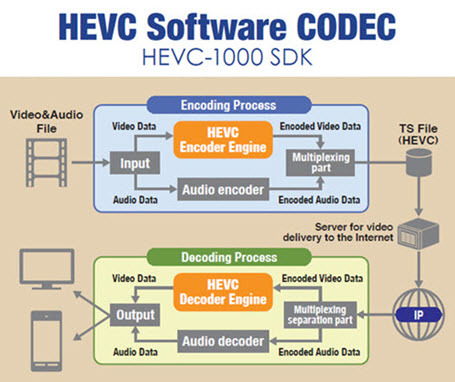 HEVC codec is the software to compress or decompress HEVC video. It can be an encoder for compression only or decoder for decompression only. With HEVC codec, people can create a 4K/8K video or convert HEVC videos to a more compatible format for flawlessly playing on computers or devices. Beginners may search HEVC codec on Google or software download sites for having a direct download link. But the random results are quite confused. So, we list the following reliable HEVC (H.265) codecs for your reference. x265 is an open-source HEVC encoder application library enabling users to encode video/images into a HEVC bitstream. It is under GNU General Public License (GPL) 2 license and also available under a commercial license. x265 projects aims to provide the best HEVC/H.265 encoder and deliver the most efficient compression, highest encoding speed and visual quality. DivX is one of the most popular video codecs with implementation of several mainstream video and audio standards, DivX, HEVC/H.265, H.264, MPEG-4 Part 14, MKV, AAC, Dolby, DTS etc. Built-in free DivX HEVC Plug-in, this HEVC codec makes users create and watch HEVC videos up to 4K UHD on Windows (10) PC/Mac. Supporting many popular video/audio codecs, K-Lite Codec Pack, a collection of DirectShow filters, VFW/ACM codecs and tools, drives users to play more video/audio formats on Windows 10/8/7/XP (64 & 32 bit). Since the version 10.10, the K-Lite Mega Codec Pack added support for decoding HEVC helping watch HEVC videos on Windows without trouble. 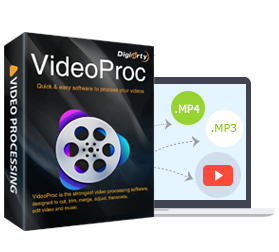 • Encode/Decode videos from HEVC to other formats (H.264, AVI, WebM etc.) or from other formats to HEVC. • Fully taking advantage of hardware acceleration, it can deliver an ultra fast speed of HEVC transcoding. Reviews of the best free H.265/X265/HEVC players for 4K/8K Ultra HD videos. Download a free H.265/HEVC media player app on PC or Mac without HEVC codec.